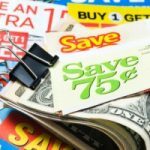 It’s been awhile since I published my list of 36 ways to save money on groceries, and it appears that the landscape has begun to change. According to the WSJ, stores have been increasing the prices on their private-label foods faster than the prices of the equivalent national brands. 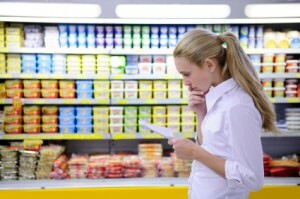 By the numbers, the prices on store brand non-perishables increased 5.3% last year vs. 1.9% for national brands. And for perishables, the numbers were 12% vs. 8%. The driving force behind these price increases? Oddly enough, it appears that the recession is to blame. 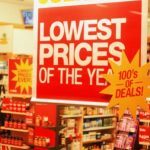 Stores apparently wised up to the fact that consumers were increasingly choosing store brands over national brands to save a buck, so they have started narrowing the price gap. At the same time, they have worked to improve their packaging, expand their product lines, and do a better job of branding their own products in hopes of building customer loyalty. Gone are the days of the plain old black & white packaging. To be fair, you can still save upwards of 29% using store brands, but the gap is shrinking. But that’s a broad average. There are actually instances in which the store brand is the most expensive product in the category. For their part, name brand food companies have started offering more coupons and discounts in an attempt to win back customers — in essence, they’re engaged in price targeting, which allows them to sell the same items to different consumers at different prices. The bottom line here is that you shouldn’t blindly pick the store brand over the national brand. Rather, if you want to get the best deals, you’ll need to pay close attention to the price-per-unit and shop accordingly. Thanks for mentioning this. I hadn’t noticed, but I have noticed that often the larger size of a product is more expensive than the smaller size. I wonder if this is a new trick now that people are convinced it pays to buy in bulk. I noticed the Great Value generic versions at Wal-Mart are just a few pennies cheaper than the name brands, add in coupons and the name brands can cost less. I find myself buying very little groceries at Wal-Mart because our local stores double food coupons. Walmart changed its packaging on their Great Value generic brands a couple of years ago. They had been using somewhat attractive packaging with colored pictures and stylized lettering. With the recession they put those generic products in the most generic looking packaging possible: clear plastic bags or white boxes with plain black lettering. I thought it was pretty funny at the time that they wanted everyone to notice these were genuine generic products. Perhaps that drew attention to them. It will be interesting to see if they will return to more attractive packaging now! Another strange situation appeared during the recession when grocery stores raised prices on the lowest priced ground beef, bringing those prices higher than the per pound prices on “better” cuts of beef. You just have to keep comparing to see where the best values are!